Thanks so much to Maria for letting me guest post this week! Here is my Friday Freebie for you! 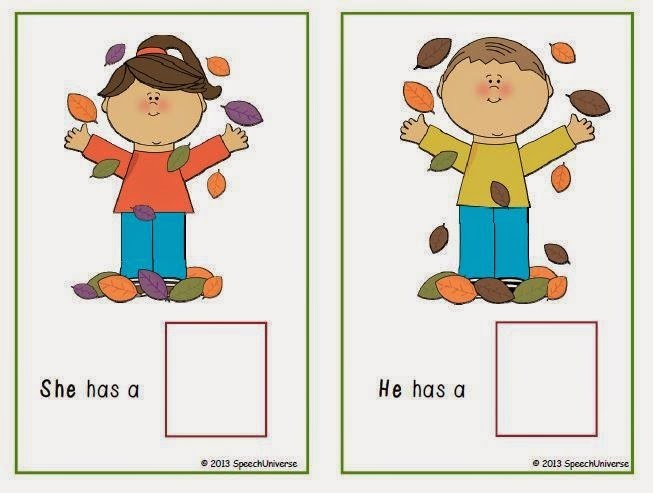 Last fall, I introduced this set to work on the subjective pronouns he, she, and they. I have had great success with using these sets with my students who need to expand their utterances to include these pronouns. 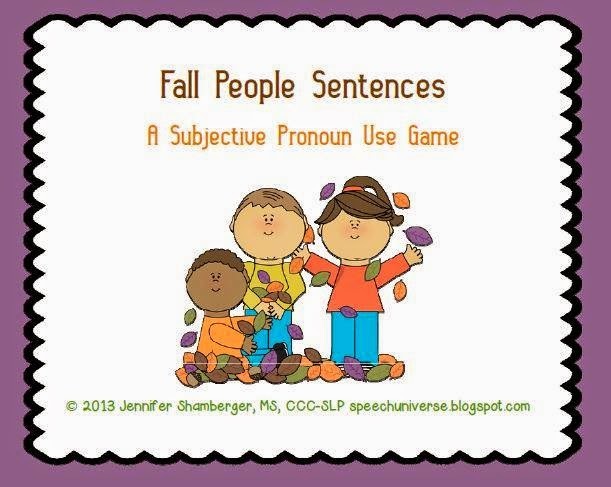 Fall People Sentences is a packet that includes 24 picture cards to use with 6 different sentence mats. 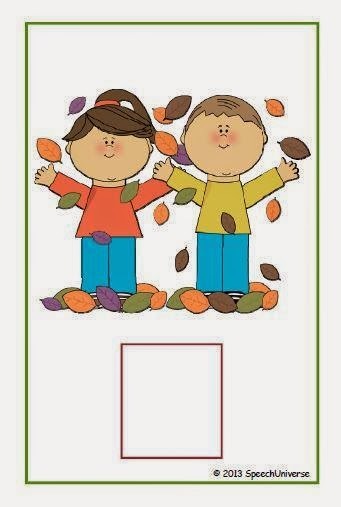 There are two sentence starter mats for each pronoun. One of the mats includes sentence starter words, the second mat just has a place for your picture card. I hope you enjoy using this freebie with your students as much as I do! 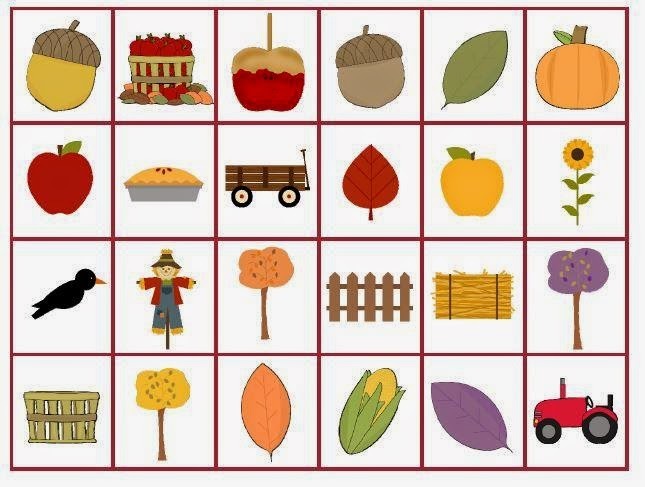 You can find this freebie, and other similar freebies for additional seasons at my TpT store. You can also find me on Facebook and at my Blog. Thanks so much for checking my freebie out, and thanks so much again to Maria for letting me share it with you here! ← Spotlight on Speech Universe: Using PECs in a small group!